> Blog > > Castor seed oil: a beauty asset for hair! Castor seed oil is a vegetal oil obtained from shrub seeds of tropical origin, ricin. Castor oil has begun to be used in the 21st century in order to smooth and protect hair. It is also used to nourish and protect eyelashes and eyebrows. Castor oil is composed of a huge quantity of fat acids which give it soothing and healing properties. It heals also eyes irritation because it’s an oil very smooth which do not sting. How to use castor oil as a beauty oil? Your hair: do oil baths. The day before your shampoo, coat your lengths and your ends with castor oil. Protect your pillow with a towel. When you wake up, do 2 shampoos massaging well because castor oil is a very thick oil. It is useless to apply a conditioner or a mask, your hair will be nourished enough! Your eyelashes and eyebrows: do cures of 1 month. Every evening, apply castor oil on your eyelashes and eyebrows with a cotton swab. You’ll see rapidly that your eyelashes and eyebrows has become thicker and healthier. Your nails and cuticles: every evening, massaging your nails and cuticles with castor oil. Your nails will find again strength and health! Your beard: Men will be able to take care of their beard applying castor oil for a more homogeneous and thicker beard. How to know if a cosmetic contains castor oil? You just have to check its ingredients list. The scientific name of castor oil is ricinus communis oil. Castor oil is a vegetal oil, so it is vegan. Where to find organic cosmetics with castor oil? 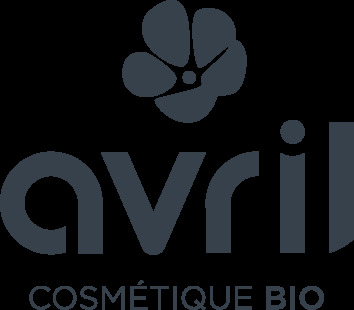 Avril offers a full range of organic cosmetics with castor oil. Organic certified by Ecocert, they are natural products composed with various ingredients good for the skin, hair and eyelashes. Avril offers particularly a range of organic eye pencils with castor oil, which take care of the weakest eyelashes, and also a 100% pure organic castor oil.